Last week was very intense. 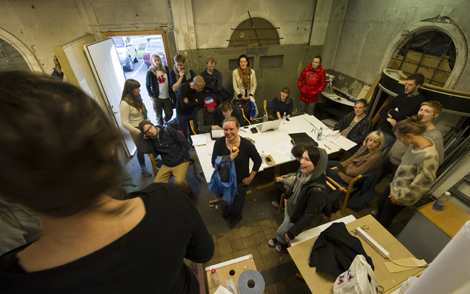 It was the first workshop’s week – TECNOLOGY WEEK– with two different workshops run by Bjarte Ytre-Arne and our international guest Juan Freire . 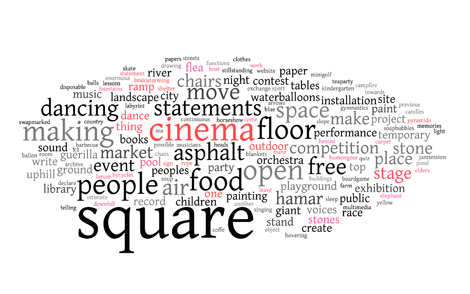 – How could we bring people to the square? 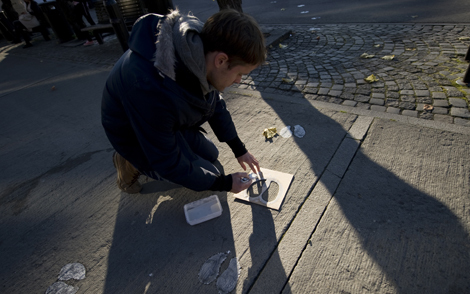 How could we create and atmosphere so they wanted to meet each other? – How could we make a mock up of what the final square could become? 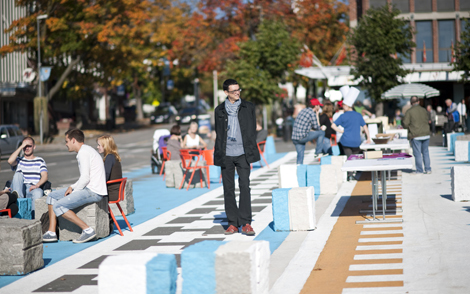 How can we transform this former parking lot into a public space? So brainstorming we did. 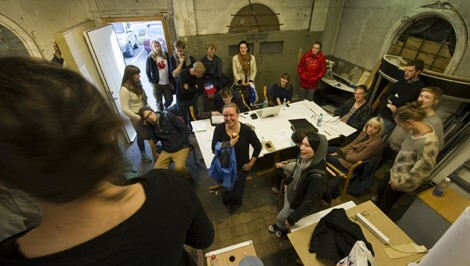 The students had 20 minutes to come up with 20 different possible ideas for Stortorget. Expect the unexpected. Ready? 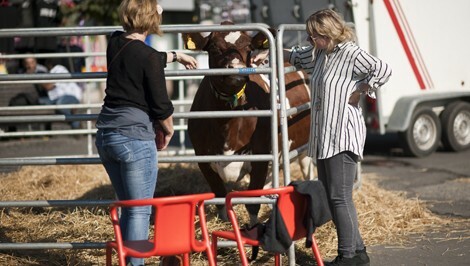 They were all interesting ideas but we selected the Cow and the free public lunch. 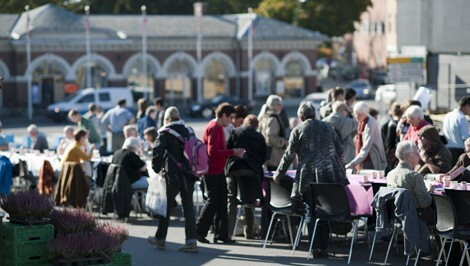 A cow would provide fresh milk for the coffee and a free public lunch would invite everyone in Hamar to join the event. – logistics: coordination work over all the teams’ deadlines for different tasks. 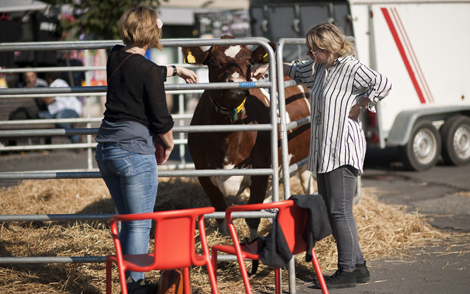 This was the cow. She became the main attraction in no time. 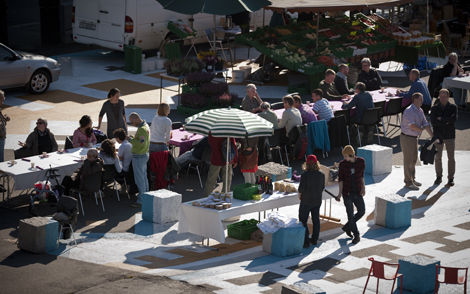 People came, ate, enjoyed, talked, shared, met others, chatted, and relaxed under the sun. 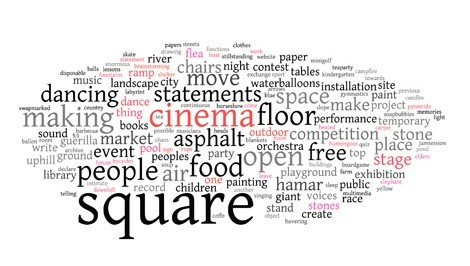 The students worked, mingled with the people, took notes of their ideas, handed out info about the workshops, received suggestions for the square…. 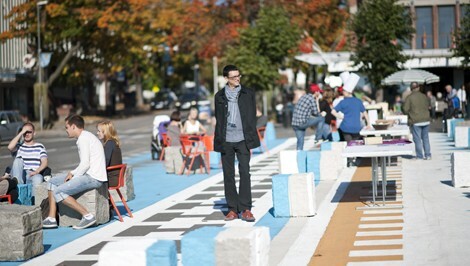 I discovered, again, that public space is about people. 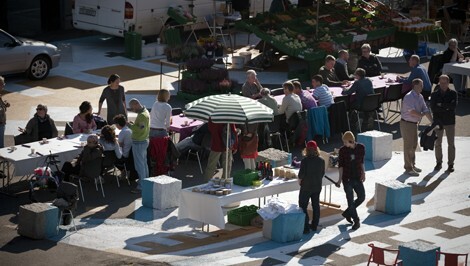 And the future Stortorget should be, above all , a great place for people just to be there. If you missed creamhamar, you can still watch the video. 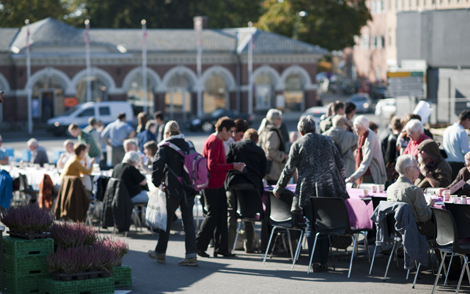 We promise to do many more activities and keep Stortorget changing until December!